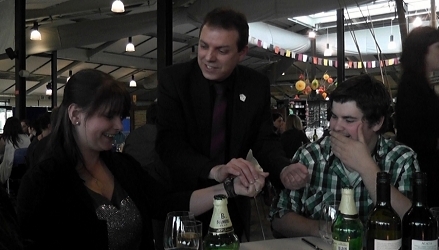 It's Russ Styler's blend of amazing sleight-of-hand magic and humour that has led to him becoming a most popular choice of magician for events and special occasions in Milton Keynes. Whether a private family party, an awards dinner, wedding, birthday or anniversary party, Russ has done them all! As a professional magician for more than 20 years, Russ has worked at countless hotels and venues including top London Hotels like the Dorchester, Grosvenor House and Hilton Hotels in London. 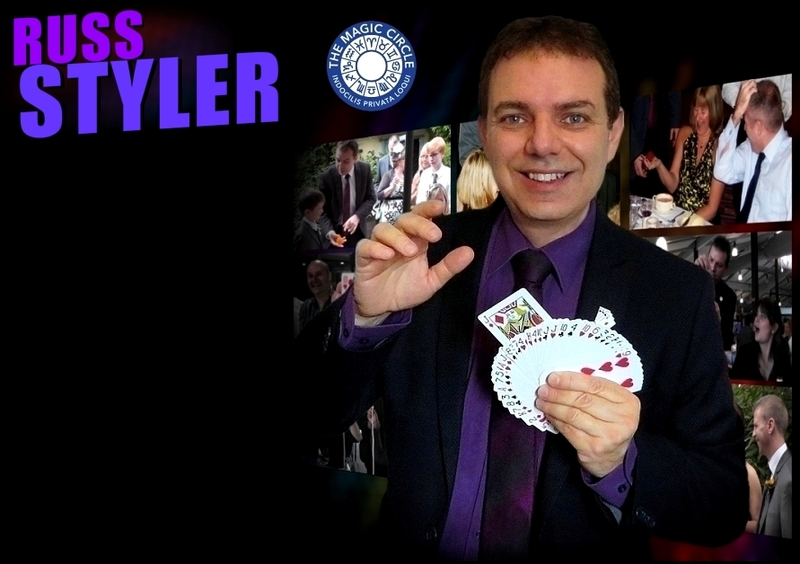 Russ has also worked summer seasons in the UK and abroad and is a member of the Magic Circle, The International Brotherhood of magicians and Equity. 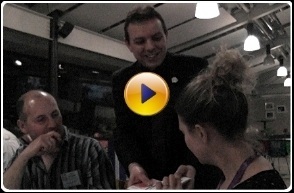 It's Russ Styler's blend of amazing sleight-of-hand magic and humour that has led to him becoming a most popular choice of magician for events and occasions in Milton Keynes. Whether a private family party, an awards dinner, wedding, birthday or anniversary party, Russ has done them all! Contact Russ now for an availability check or for any questions you may have regarding booking a magician for your event in Milton Keynes. Certificate of full public liability insurance is available on request. 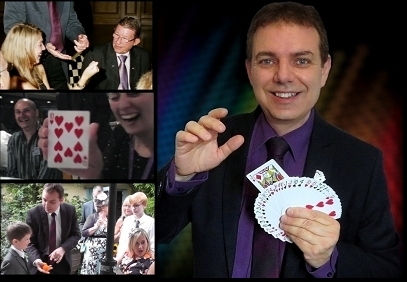 Hire a magician in Milton Keynes for your corporate event or party make it an extra magical experience for your guests! Close up magician / table magician or magic shows. Including Bletchley, Newport Pagnel, Woburn. Certificate of full public liability insurance can be emailed to you on request.